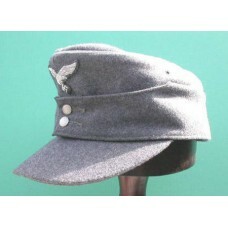 Luftwaffe Generals M43 General Issue Field Cap. 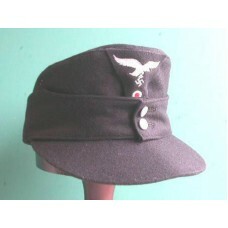 Luftwaffe Generals M43 Einheitsfeldmütze. 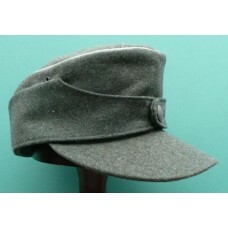 Officers quality blue wool with gilt piping & gilt but..
Einheitsfeldmutze with 2 button front for Officer ranks. 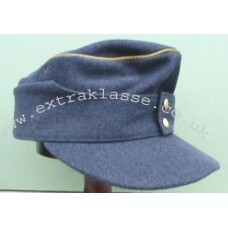 Field blue wool with aluminium piped crown ..
Panzer Einheitsfeldmutze with 2 button front for Enlisted & NCO ranks.Used by W-SS, Heer & H..
M41 Tropical Issue Field Cap. 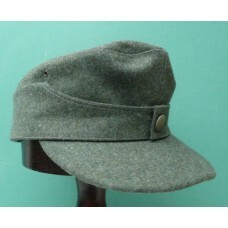 M41 Tropical Issue Field Cap. 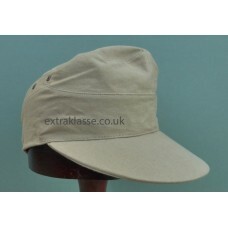 Light coloured khaki cotton with red cotton lining with makers, year &..
Einheitsfeldmutze with 1 button front for Enlisted & NCO ranks. 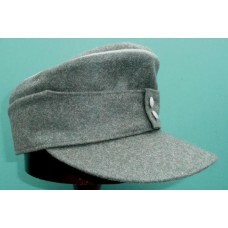 Available in field grey wool for..
Einheitsfeldmutze for Enlisted & NCO ranks, made in quality felted wool with 2 button front &..
Einheitsfeldmutze with 1 button front for LW Officer ranks. 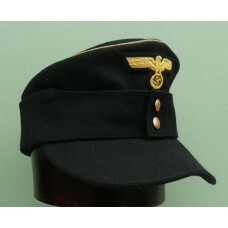 Order insignia separately. 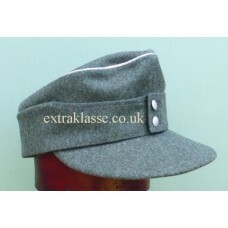 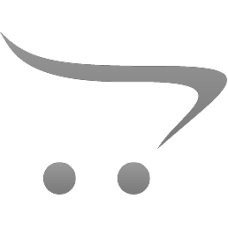 No sewin..
Officers M43 Einheitsfeldmutze firld grey wool with 2 button front for W-SS, Army & LW Ground Tr..
Einheitsfeldmutze for Officers, with 1 button front. 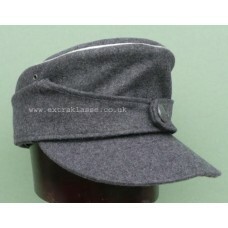 Available in field grey wool for Army & Waf..
M43 Einheitsfeldmutze with 2 button front for Panzer Generals. 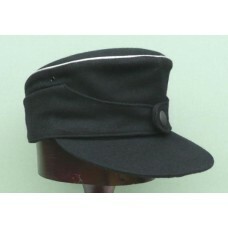 Black wool with gold piping & but..
Einheitsfeldmutze with 1 button front for Officer ranks. 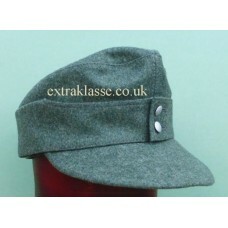 W-SS, Army, Police & Luftwaffe Panzer ..
Einheitsfeldmutze for officers, made in quality felted wool with aluminium piping & 2 button fro..
Einheitsfeldmutze with 2 button front for Enlisted & NCO ranks. 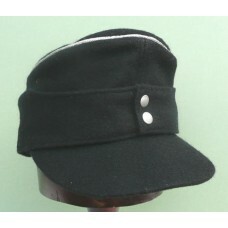 Black wool for Waffen-SS, Army, ..
Einheitsfeldmutze with 2 button front for Army, Waffen-SS, Police & Luftwaffe Panzer Officer ran..